LXDM is lightweight display manager aimed to replace gdm/kdm in LXDE distros. 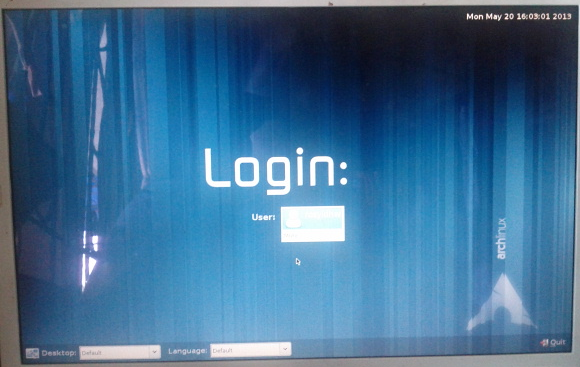 The UI is implemented with GTK+. It is still in early stages of development. 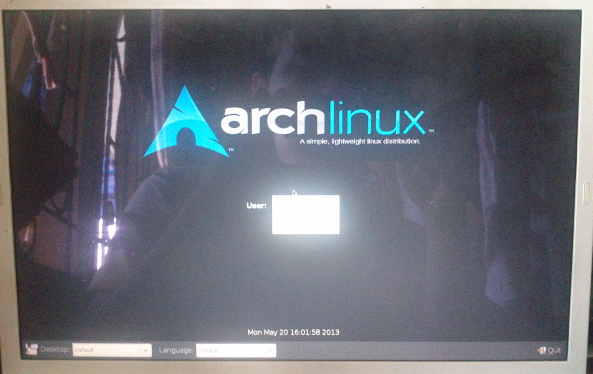 LXDM on Archlinux available on official repositories & AUR. On AUR you can use PacmanXG4 for installation. After you install LXDM, enable services by. Disable previous dm, before enabling lxdm. Then uncomment #session=/usr/bin/startlxde, change your default DE there. alternative way, logout on LXDM, choose the DE on session that you want to make default. 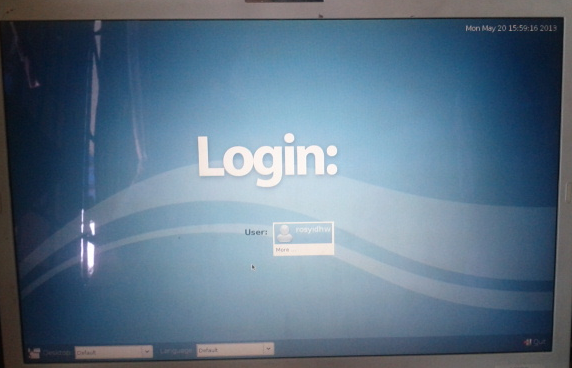 Then login. Every time you login you will login into DE that you choose. 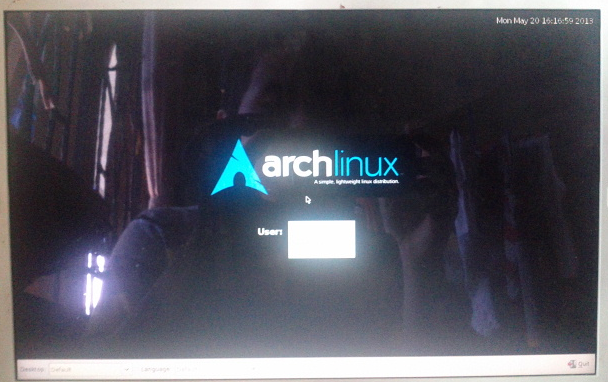 But AUR links looks better, because when i choose Archlinux themes from official repository i got black screen when lxdm is up. Change on Theme, there are 4 themes that you can choose. Here's the snapshot.